This story aired on Mother's Day, but the topic is very relevant to a lot of men in this country who want the freedom to spend more time with family (especially when a new child arrives). 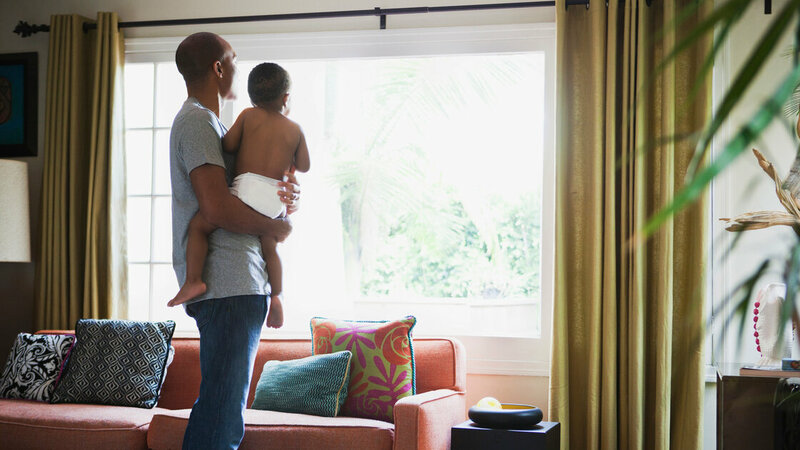 In a new study, 89% of men said that paternity leave is important to them. Now if only paid parental leave were universal in this country as it is in Europe. Sure, there's salary and vacation time, but there's one more benefit on the minds of many men — even in their 20s and 30s — when it comes to job necessities. Eighty-nine percent of men say paternity leave is hugely important to them, says a new Boston College study to be published in June. That puts some pretty big numbers onto what society's starting to recognize as a sea change in public opinion. It's increasingly normal to expect dads and moms to share parental burdens at home, says Jennifer Fraone, of Boston College's Center for Work and Family, which delves into "The New Dad" in a . But it's more than just expecting parents to share the workload at home — men are starting to demand parity in the workplace too, even if there isn't yet have a bun in the proverbial oven. Few companies offer some kind of paid leave for new dads, Fraone says, only 20 percent, citing numbers from the U.S. Department of Labor. In the U.S., the permits 12 weeks of time off in the first year of the child's life. But that glorious declaration is laden with piles of red tape: The leave doesn't have to be paid, so an employee might be required to use up vacation and sick time. Plus it only applies to businesses with 50 or more employees (meaning startup nation is excluded). And it is only available to employees who have worked for a company at least a year. Compare that to the British Isles, where new rules hitting the books in 2015 will allow moms and dads to share 50 weeks of leave any way they see fit. Parents will be able to swap the time back and forth between them, beyond the initial two weeks after birth (already guaranteed). That's a change from the current time that must be taken in set blocks. Paternity leave might not yet be making waves in the American political landscape, but private firms ought to take note. It's a damn good selling point. Businesses: Want a leg up on the competition when it comes to hiring rock stars? Consider treating them like moms.